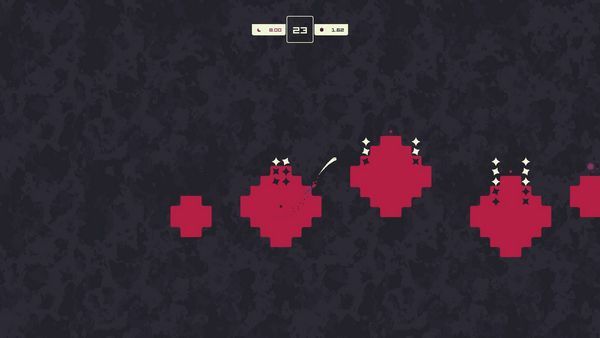 Minimalist graphics and sound mean less distraction from the level layouts - you'll either love that or hate it. Minimalist graphics and sound mean less to hold your appeal along with the gameplay - you'll either hate that or love it. Extremely unforgiving. 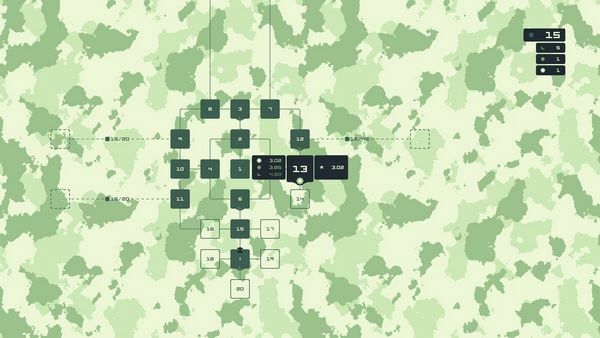 There are a lot of levels to unlock, but the biggest bar to seeing them is likely to be frustration, and the game is best played in short sessions. I have a basic chiptune stuck in my head, a consequence of playing the Sun and the Moon for an extended duration with the audio on, which seems to consist of a single looping tune. 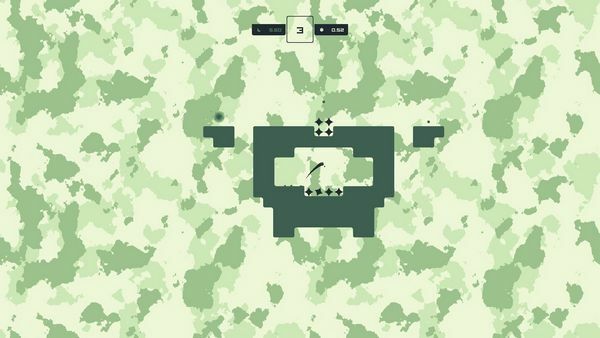 The game has taken an extremely minimalist approach to its presentation, initially due to it being made in a short duration as the winning entry of Ludum Dare 29 and now an obviously deliberate design choice for its release three year later on the XB1. So we’re left with a game that focuses on its core gameplay mechanic more than its presentation… but is that enough? The theme of that contest – and thus, the game – was “beneath the surface”, which has been turned into a novel platforming mechanic. Your character has the ability to phase into the solid surfaces of the levels, with the catch that when you enter them, you will be forced to rise to the surface. For example, you cannot just stand still and slip into the floor beneath you; but you could jump on the spot and let your falling momentum carry you down a small distance… before you are then ejected an equal distance back into the air. Following this logic, leaping from higher platforms and phasing into the ground can open up possibilities for firing yourself back into the air and reaching awkward places. At times, everywhere on the level feels like an awkward place, especially when you need to collect several orbs scattered around before you can use the exit. It is a good idea, and when you find a flow for ricocheting your character over walls and under spikes it feels like you’re a dolphin swimming, leaping from the water before diving under again. Finding that flow is a big challenge, however. The game is extraordinarily unforgiving, where small movements leave you at the mercy of spikes and drops, missing an item collection can make restarting the level easier than going back, and jumping a touch too early or too late is usually the difference between success or failure… on every single jump in a level. It’s unforgiving in the way that makes you question if the controls are imprecise or if you’re really just dying that much. My conclusion was the second option – the game is simply out to kill you, and is good at it. Finishing each level unlocks others connected to it. There are “over 150″ levels, and you’re unlikely to see them all through in a long session – frustration kicks in at repeated retries, and breaking my normal reviewing method of playing long sessions into a few shorter ones probably matches how the game is intended to be played. Levels are clearly meant for replaying once you work out an approach to them, as while simply completing a level will unlock others, completing it within some progressively more demanding times also rewards you half moon, full moon or sun tokens. As well as the basic soundtrack, the game is graphically sparse. This does work to cut down on unnecessary distractions, and even if the minimal palettes do look like something that wouldn’t have worried an original Gameboy, it’s still effective, but will never win awards for being pretty. Ultimately, the question is “is it fun?”, and it definitely is for the first few minutes of gameplay. But it’s better to have those few minutes of gameplay and to break off, as that can be the difference between wanting to come back for another shot at a target time, and getting fed up of trying to grind through level after level of death after death. The Sun and the Moon is not something that will sell on presentation, which instead leaves it to appeal on its design concept, and the concept’s execution. And it scores a clear win with one of those, as the general mechanic of slipping through the walls and floors – once you get your head around how it effects your momentum – is a great one. The execution is less clear, as the game can provide frustration as much as fun, with some levels offering absolutely no room for error, and others requiring a lot of attempts to complete before even considering the timed rewards. It’s hard to see this as a game to drop hours into, but for short sessions focusing on a handful of levels it remains fun. A ball-like being jumping around levels – content-wise there is nothing to worry about here.